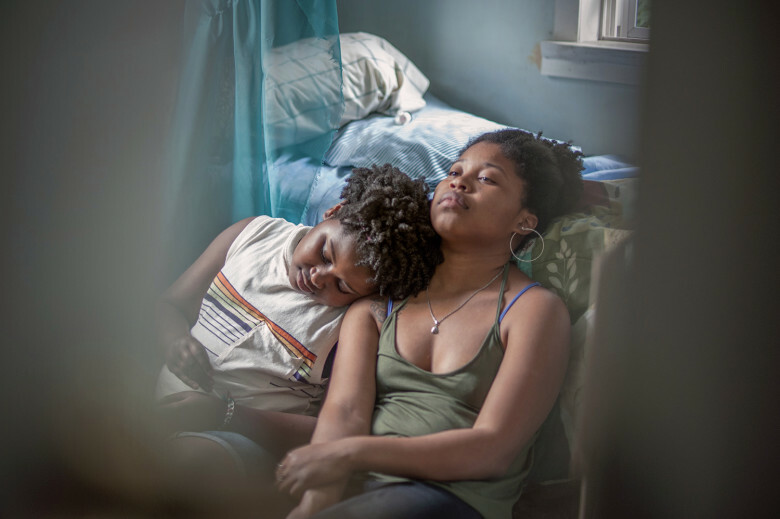 In actress-turned-director Jordana Spiro's debut feature, Night Comes On, growing up fast was a must for 18-year-old Angel (The Deuce's Dominique Fishback). Newly released from juvenile detention, she stares at the wide open yet empty road ahead of her. Nobody's coming to pick her up. There's nowhere to go. But that doesn't mean she's without a plan. She's needed one ever since she witnessed her father beat her mother to death years ago. Angel's going to see him, and she doesn't plan on coming back from it. It's a dark and challenging first effort for Spiro, one that takes viewers on a slow, emotionally fraught journey of discovery. This is a coming of age story but seen through the rare lens of a queer, black female lead character, and Spiro, along with co-writer Angelica Nwandu, make Angel's story relatable without losing what also makes it unique. This is a hard movie, unflinching and real, but told with sensitivity and care, aided by a terrific lead performance. The world isn’t going to open up for you", he says, but she isn't really interested. A job? Maybe. But really, she only has a few things immediately in mind. Find a charger for her dead phone; call her girlfriend and see if she can stay with her overnight, and hit up a guy about buying a gun. None of these go down smoothly; in particular the buying of the gun quickly turns creepy and potentially abusive, but Spiro takes the scene in a different direction, almost as a subtle message for the rest of the movie. Danger lurks everywhere but there is also hope when one looks for it. Angel's mission sets her on the path to reconnecting with her younger sister, Abby (Tatum Marilyn Hall), who has been shuffled into the foster care system and can't wait to get out of the crowded home she's stuck in. Angel's tough disposition softens around the bubbly, personable Abby, but only a little. Abby has the people skills Angel never had, but she's also blind to how ugly the world can be. Abby wants to take her big sis to the beach for her birthday, but she doesn't know Angel's real plan is to find out where their father lives so she can kill him. There's love between them but also tension; a lot of unspoken resentment that bubbles up to the surface in different ways. Night Comes On unexpectedly morphs into a road journey about halfway through, and it's here that it gets a little bit preachy and heavy-handed for a time. They connect with some new "friends" who have had it comparatively easy compared to the siblings. It's an unnecessary diversion that takes us away from what is the film's greatest strength, and that's examining the bond of sisterhood between Angel and Abby. As the story progresses along, it becomes less about Angel's need for vengeance, and more about her relationship to Abby, who represents hopefulness from a life of tragedy and despair. Whether Angel is going to go through with her plan is going to depend on Abby, who desires a life with her sister more than anything else in the world. Angel isn't so sure that's such a great idea, and she can barely conceal her feelings behind her stony disposition. Spiro's attention to detail is a gift and a curse, giving us a slow-moving but completely honest experience. Quiet and reflective, Night Comes On isn't splashy, and subtly builds a deep connection between its troubled characters that is beautiful to watch.